Easter is one of my favourite times of the year – Spring has well and truly arrived and everyone’s mood (definitely mine) is more positive and upbeat. Summer is around the corner, what’s not to like! With a little more warmth and sunshine it is the perfect time to taste and enjoy some red wines that just jump out of the glass. Now is not the time for huge reds by the fire. I don’t know about you but I will be eating plenty of lamb over Easter, hand-raised by my cousin Sophie in Somerset and mighty fine it is too. There’s nothing quite like taking all the credit for someone else’s work. I am an armchair farmer in Wimbledon and it works well for me! The wines I look for at Easter need to have a balance between sweet, ripe fruit and savoury, spicy flavours and there plenty of regions that give me what I want. Starting in France, look to the Rhone Valley and then head further south and west into the Languedoc-Roussillon. The Rhone produces some of my favourite wines – from easy Cotes du Rhones up to St Joseph, Crozes Hermitages, Cote Rotie and the mighty Hermitage. These wines tend to be based on the incredible Syrah grape. Syrah (Shiraz in the New World) has lashings of raspberry fruit and, crucially, fresh pepper and sweet spice. This combination of sweet and savoury, all knitted together with dark and juicy tannins with fresh acidity make the wines just wonderful with food. We import a wonderful range from Domaine Martin who have superb vineyards in Rasteau and Cairanne but you can easily go to the High Street and get Cotes du Rhone from Guigal or Chapoutier. These wines never disappoint and won’t break the bank. The trick is always go up one level. Cotes du Rhone if the general term for wine produced anywhere in the Rhone Valley – north and south but mostly from the south. For £2-£3 more you can get a Cotes du Rhone Village, for example Rasteau, Cairanne, Vinsobres. The wines must come from the vineyards around these villages and quality is pretty much always better and the wines more interesting. The yields are lower which means the producer makes less wine from his or her grapes, so the wines are more concentrated. For some of the most interesting and forgotten about wines then head into the Languedoc-Roussillon. Here you’ll find some exceptional reds from regions like Corbieres, Minervois and Fitou. Yes it is true that these wines used to be ‘pile’em high and sell’em cheap’ in supermarkets all over Europe but they can be superb. Look for anything that says Minervois La Liviniere or Corbieres Montagne D’alaric. By the way, Alaric was a Visigoth king who ruled from the early 6th Century and supposedly hid his treasure on the mountain after losing a battle near Toulouse. Mad people still look for it. Anyway, I digress! The wines from this part of the world are perfect for Easter. As another aside, if you want to celebrate with friends and family over Easter with something fizzy then you should definitely try a Blanquette de Limoux or Cremant de Limoux from the Languedoc. This top sparkler is made from high altitude vineyards and produced in the same way as Champagne. These wines are no more expensive than ‘good’ Prosecco but much, much better. I know everyone is happily making Prosecco producers very wealthy these days but generally (and please don’t shoot me down) Prosecco is just not that good – there I said it out loud! Great Easter wines from further afield come from places like South Africa. 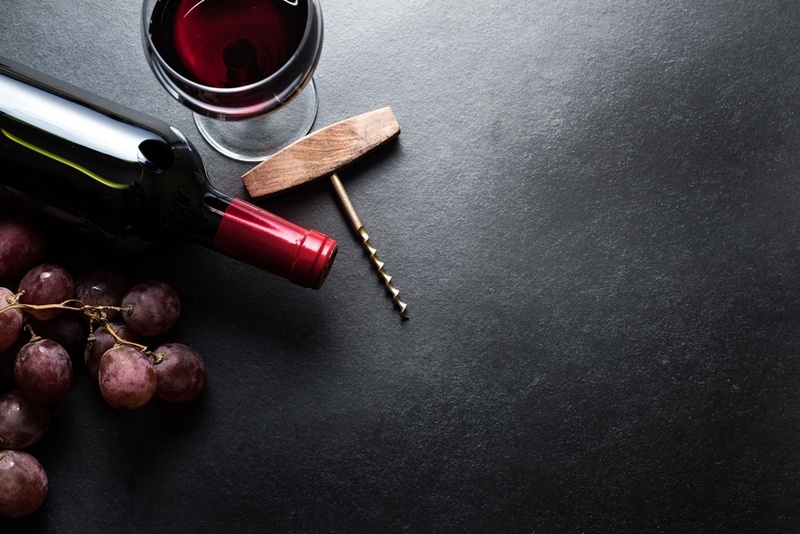 The wines from Stellenbosch, Paarl and other parts of the Cape Winelands have delicious ripe black berry fruit with elegant tannins and a dry finish. A good Shiraz from Paarl for example, tends to be less muscular than an equivalent from Australia. Of course there are many, many more wonderful reds but that should give you a good place to start. Sicily, particularly vineyards from the slopes of Mt Etna are also worth looking out for. Me? I’ll be drinking a top Chateauneuf-du-Pape, probably Chateau de Beaucastel made by the Perrin family or a northern Rhone like the ‘out of this world’ Hermitage from Jean-Louis Chave but I’ll need to sell more wine first or take out a bank loan!